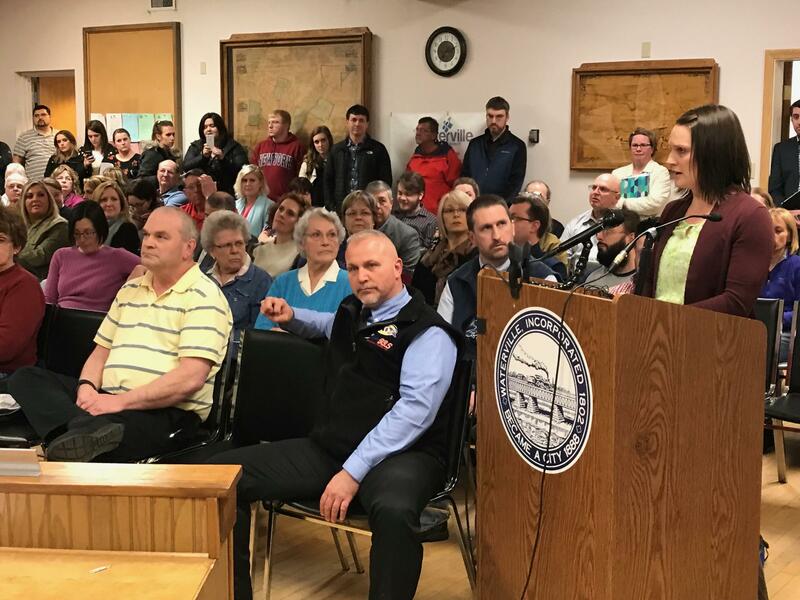 A regular Tuesday night city council meeting in Waterville turned into a heated show of political and personal tensions, centered around the city’s embattled Republican Mayor Nick Isgro. Isgro has faced public scrutiny after tweeting “Eat it Hogg,” referring to David Hogg, a survivor of the Parkland school shooting. The tweet came in response to a story that Fox News had decided to support conservative host Laura Ingraham, who had also disparaged Hogg. 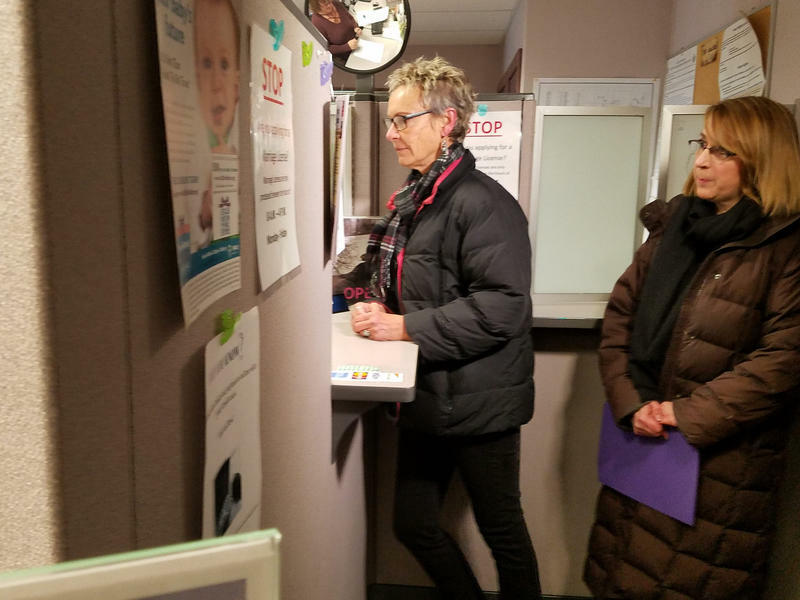 Former Waterville Mayor Karen Heck and others have launched a recall petition against Isgro. Tuesday night, dozens of Isgro supporters struck back and dominated the microphone during the council's public comment period. "Nick has the right to say what he wants to say on Facebook," said Waterville resident Hank Poirier. 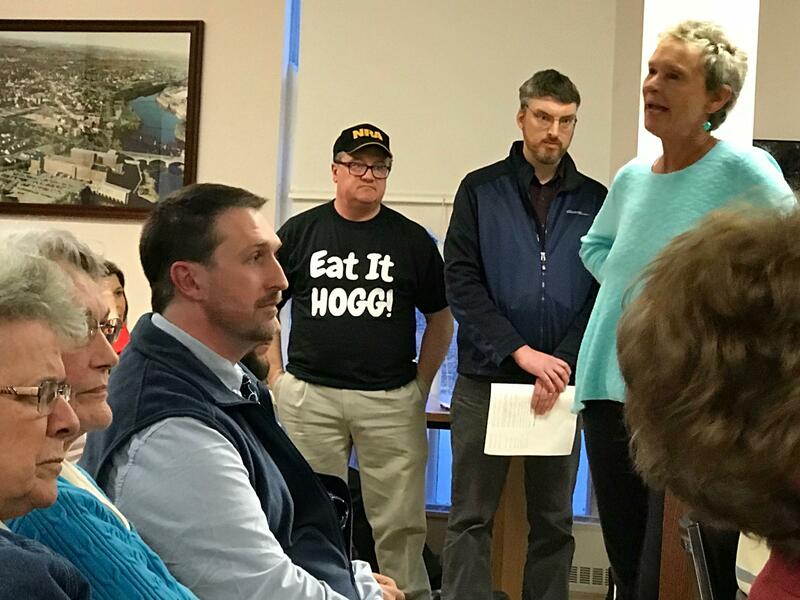 Poirier, wearing a black t-shirt emblazoned with "Eat It Hogg," said the real problems in Waterville stem from the fact that many people, including several on the council, just can't seem to abide differing points of view without succumbing to an urge to retaliate. "And can you imagine the outrage if we all read somebody else's Facebook Page," Poirier said. "We might be outraged, but does my outrage count less? You don't go to the guy's place of employment and try to sink the guy." 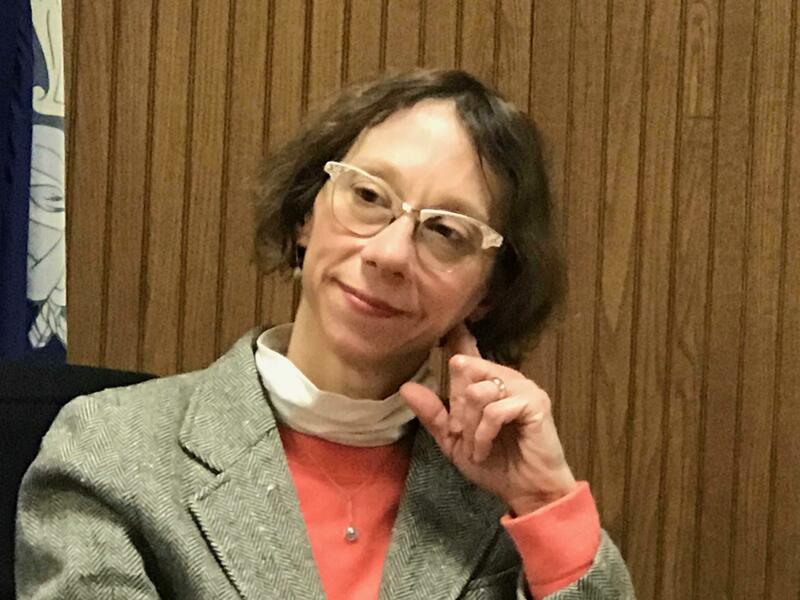 Heck said she was targeted on Republican social media sites as being responsible for Isgro losing his job at Skowhegan Savings Bank, an allegation she denies. When Heck attempted to speak at the meeting, she was “gaveled down” by Isgro, who argued that his employment was not on the agenda. That prompted a stand-off between Isgro and Heck, after she refused to honor the council's public speaking time limit. The mayor's wife, Amanda Isgro, also spoke about her husband's employment status, saying that the media had conspired with others to pressure bank officials and that many seemed bent on viciously attacking her husband with his own words. She also reserved some of her anger for the Colby College administration, whom she accused of harboring an elitist agenda. "I'm a graduate of Bates College and yes, I do feel like I have to make that disclaimer to some of our Colby elitists on the council, who like to make us all feel a little more unintelligent as them," Amanda Igro said. "I think we have to start talking about love, you know, and I think social media is feeding a lot of dissension in this country," Lessing said. Isgro says he is determined to stand up for the 1st and 2nd Amendments at every opportunity. Still, when asked whether he would have posted the same tweet given another opportunity, he replied, “probably not." Isgro's opponents have until May 1 to collect the 857 signatures of Waterville residents required to force a recall. 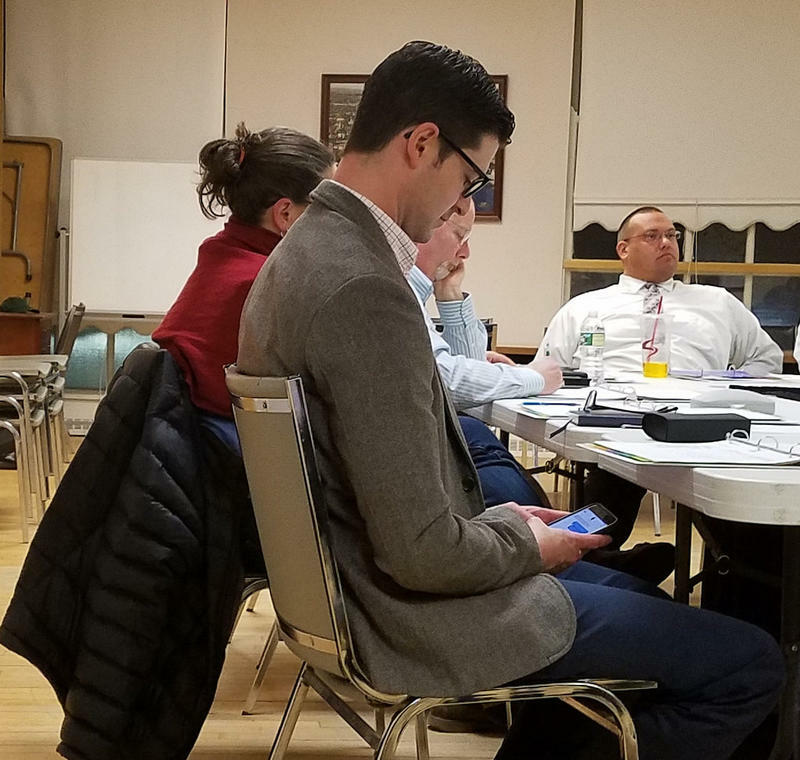 Waterville Mayor Nick Isgro made his first public appearance at a city council budget workshop Tuesday night, one day after several residents began a recall effort against him and after he resigned, under pressure, from his position as a vice president at Skowhegan Savings Bank. Republican Gov. Paul LePage, a former mayor of Waterville, weighed in Tuesday on his behalf. Isgro has been under fire for a recent tweet mocking Parkland School shooting survivor David Hogg. He also has a history of making anti-immigrant and other inflammatory social media posts. 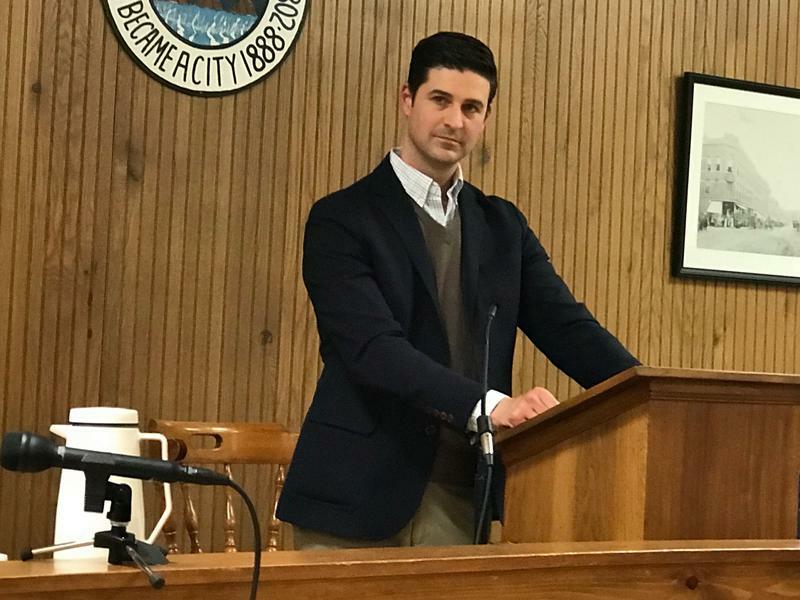 A petition drive has been launched to recall Waterville Mayor Nick Isgro after calls for his resignation over the past week.